Still Don’t Rock the Maroochy! It has been two months since the Council voted to defer a decision on rocking the Maroochy River mouth and there has been no public indication of what level of consultation there will be. Time is running out for meaningful consultation given that a report is due to go to Council’s June meeting. Concerned residents, including former Councillors who have a strong association with this important issue, have formed a working group researching the issue in conjunction with SCEC. Some of these people were involved in the decision making process when this issue was debated two decades ago which led to the geotextile groynes we see today. To date, analysis has found that the Council staff report and recommendations presented to Council at the 25 January Ordinary Meeting were outside the Council’s 10 year Shoreline Erosion Management Plan (SEMP) policy document adopted by Council in 2014. It clearly states the existing geotextile groynes are working and the priority action is to maintain the geotextile groynes over the life of the SEMP – that is to 2024. The working group has also found that the comparative costing of rocks versus geotextile bags is flawed and needs to be revisited. Furthermore, there is strong evidence that the integrity of the wall around the Cotton Tree camping ground and the groynes constructed with geotextile bags are intact. All that is needed is minor maintenance work to ensure the Council maximises the benefit of the original capital outlay and maintains the natural amenity of the magnificent Maroochy. The existing geotextile groynes should be maintained (emphasis added) by replacing damaged and distorted containers as required, in accordance with the relevant asset management plan. It should be noted that the geotextile containers have a lifecycle of about 25 years under ideal conditions. While not a specific priority action (emphasis added) coming from this SEMP, comparative life cycle costing consideration should be given to reconstructing these structures using rock when planning for renewal of the structures. It is acknowledged that formalising the groynes with rock may reduce subjective visual amenity and ‘user friendliness’ (emphasis added) of the structures and minimisation of these impacts should be considered in the design of such structures. Coordinated beach monitoring should occur in line with the proposed program for the entire coast. Dune restoration works are a relatively low cost and prudent measure to improve sand capture/retention, dune habitats, and beach amenity and these options should be considered for the southern bank. Particular priorities for the North Shore should be considered under the future Coastal Land Management Plan. 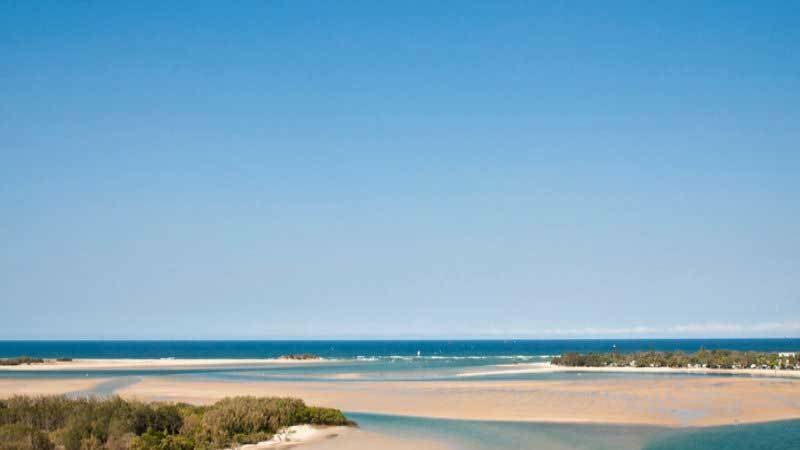 The Maroochy River Entrance boasts a natural sand linkage from the ocean beach around to the estuary offering irreplaceable environmental, recreational, cultural and economic values. 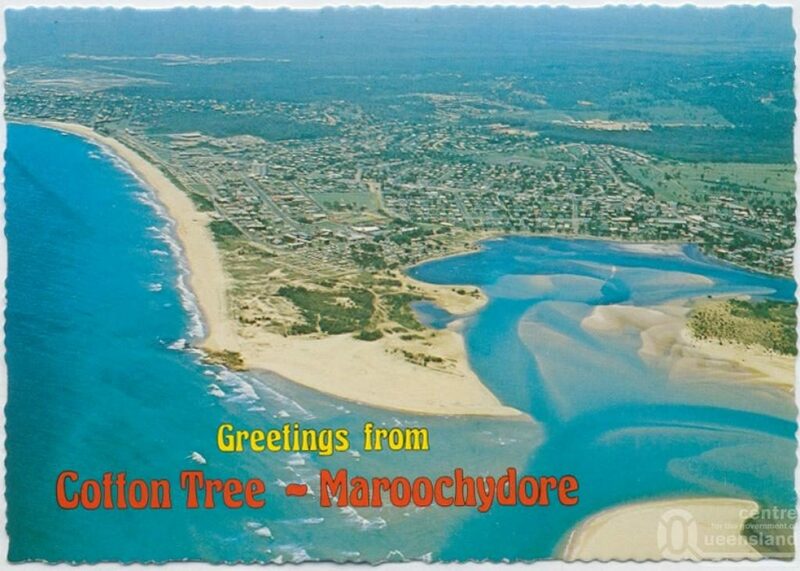 “Maroochy River meets the ocean at Cotton Tree where we view this stunning natural asset of shifting sandbanks framing Pincushion Island - where fishing, swimming, kayaking, sailboarding and kitesurfing abound.